Cuts to tax credits are an assault on working families. George Osborne is an uncaring monster personally engaged in a campaign of eugenics against the children of the poor! That is the message of this article by Labour mayoral hopeful David Lammy, published in the Guardian last week. At least now, he’s figured out what tax credits actually are. Lammy claims “Conservative ministers line up at the dispatch box to declare that work is the best way out of poverty but millions of low-paid people around the country know the truth”. By that logic, perhaps we should all stop working and start living off the state? For those of us who don’t believe in the magic socialist money tree, this is an astoundingly stupid statement. Work gives our lives meaning. It encourages independence. It encourages ambition. Welfare saps all that. When it is easier to claim benefits than to take an extra shift at Tesco, more people will take the benefits. Gordon Brown first introduced tax credits in 1999. By doing so he changed the entire purpose of welfare. The welfare state used to be for those who could not take care of themselves. Tax credits changed all that. If you have children or you work in a low paid job, the state will throw just enough taxpayers money at you to ensure that you do not live ‘in poverty’. Labour enshrined a measure of poverty – 60% of median earnings – into law that measured inequality, not real poverty. Working households were not to be allowed to fall below this line. Of course it was – and is – in Labour’s interests to make as many people dependent on handouts as possible since those in receipt of taxpayer money are far more likely to vote Labour. Labour’s ‘war’ on child poverty meant topping up family incomes here and there, pushing them just above the poverty line. It treated people like statistics. This created a particularly nasty trap for poor families. Tax credits are means tested – they begin to be withdrawn if you start earning more than a specified amount. Claimants also lose their housing, council tax and unemployment benefits as they move into work and start earning. The more you earn, the more is withdrawn. Then national insurance and income tax kick in. You get to a point where it simply isn’t worth making any additional effort. People will refuse to take a job or a pay increase because if they do, they will lose their benefits. The marginal tax rate on a low paid household can be as high as 95 percent. The trap doesn’t just push working families down. It splits them apart too. Parents are broken up because living alone is worth more than living together as a couple. A single mother with several young children is far more likely to leave the father if it is worth more to her to do so. The father is himself more likely to walk out if he knows the state will pick up the tab for his illegitimate offspring. According to the statistics, these children have been lifted out of ‘poverty’. But they now live in a broken home and are dramatically more likely to underachieve or turn to crime. Hardly much of an improvement. Any effort by the parents to escape the trap is punished. If their mother takes a second job to support them, her benefits will be cut. If she meets someone decent enough to care for both her and her children, and they decide to move in together or marry, her benefits will be cut. If she is particularly stubborn and takes a low paid, full time job, her wages will be lower than they would otherwise have been. This is because tax credits subsidise low pay – employers know the system will top up their employees income so they pay their staff less than they otherwise would. The cost of all this is extraordinary. In 1998 Labour claimed the cost of the new system would not exceed £1 billion a year. That turned out to be a colossal understatement. 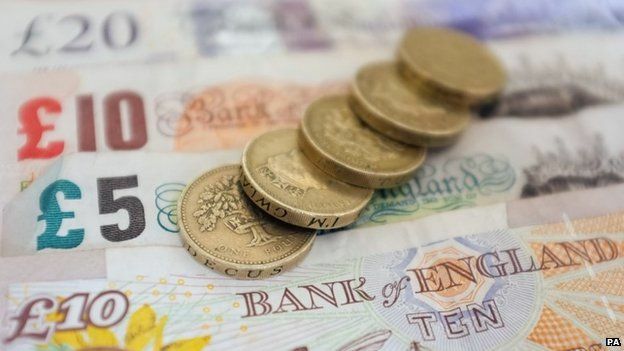 Spending on tax credits soared to eye-watering levels. Working and Child tax credits will cost the taxpayer £28.4 billion this year. That’s around 14% of the entire welfare budget. Fraud and error are huge problems. Gaming the system is encouraged. After all, if you let the authorities know about your new job, you might lose as much as 95 pence in every pound. Would you work for 5p an hour? Many fraudsters would rather not. An estimated £10 billion was overpaid between 2003 and 2010. Ian Duncan Smith’s Universal Credit – which combines six benefits including jobseekers and tax credits into a single payment – is supposed to replace all this by the end of 2017, but its rollout has been slow and beset by teething problems. The tax credits system gives the illusion of a way out of poverty. It’s supporters portray them as lowering a ladder for hard-pressed working parents. But it’s only when you get halfway up the ladder that you find that all the rungs above you have been removed. Families on tax credits are kept just above the poverty line, eternally dependent on handouts. Additional work is discouraged. Single parenthood and fraud are encouraged. Low wages are subsidised by the state. Meanwhile, smug lefties wax lyrical about ‘defeating’ child poverty. Defenders of the system act as though Britain before Gordon Brown was a poverty-stricken Dickensian hellhole. But the truth is people did without in-work benefits on such a large scale before 1998. George Osborne has made a good start by freezing and limiting tax credits. For the sake of those trapped on the ladder to nowhere, he must now go further and scrap the whole rotten system.